Description: Alfred Timler was born in mid-Wisconsin and due to his interest in art, studied at an art school in Milwaukee. 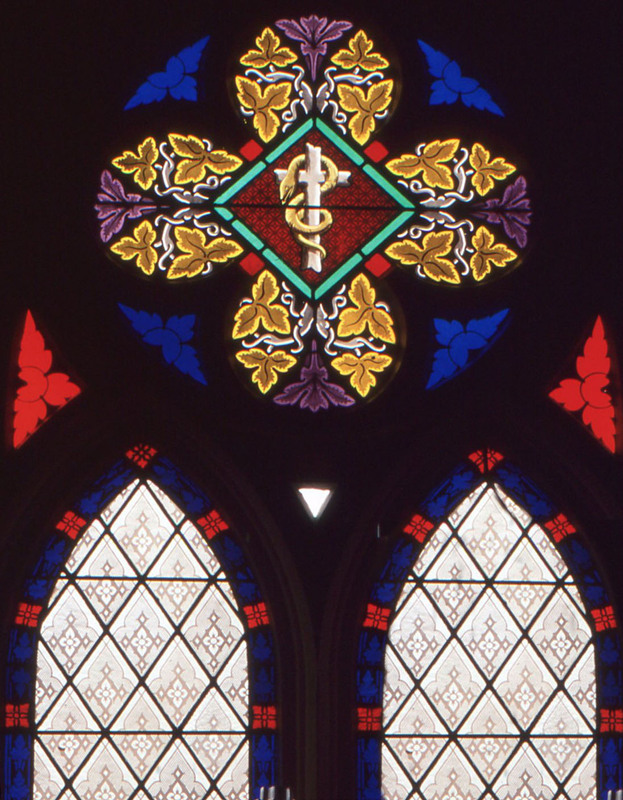 He worked for Conrad Schmitt Studio early in his stained glass career, and then worked for Holman City Glass in Fort Wayne, Indiana for the majority of his career. 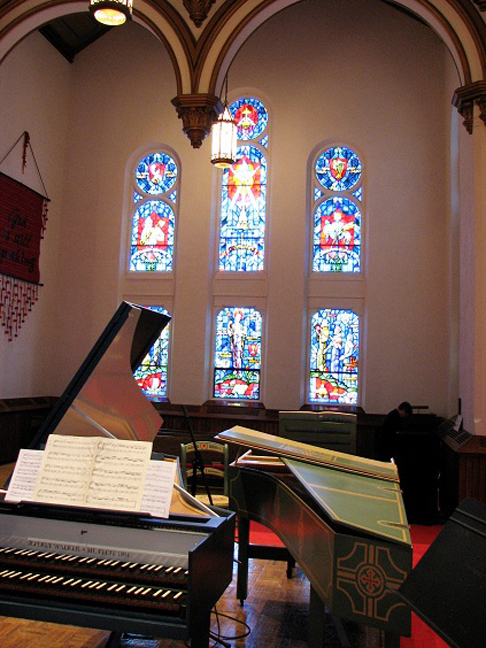 At this time, his one known Michigan installation (signed) is about a dozen windows in the newest area of St. Lorenz Lutheran Church in Frankenmuth, MI.